I have created this beginner's guide so that you can get into the salvage, recycling, scrap metal and scrap electronics fields with as little pain as possible. When I started in the business over 30 years ago there was no internet, but there were a lot of very helpful people that helped me to get started and to succeed. This is one way for me to pay back all those folks who helped me out. 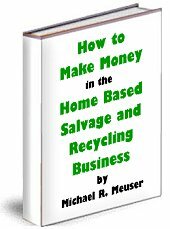 I'm gathering more and more resources here to help you get into the scrap metal, scrap electronics, salvage and recycling home based business. My intent is to make it as easy as possible to get up to speed in the business. Detailed descriptions of various ferrous and non-ferrous scrap metals including: copper, brass, aluminum, steel and the various types and varieties within these broad categories. Very nice photos of various varieties of more common metals like aluminum, copper, brass, insulated copper wire, zinc, lead, steel, stainless, steel. Also good photos of e-scrap. They also help out learning more about the more exotic metals like magnesium, carbide, titanium, inconel, nickel and catalytic converters (for their platinum and palladium content). Great compliment to link above. Amount of gold in fairly common CPUs Gold Content List in CPU Chips Slow to load but worth the wait. And another, Gold value in Computer Chips. Please note that a given CPU may have more or less than this, but as an average these seem to be good estimates. I always advocate that scrapping things is the last resort. 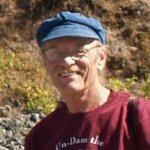 Here are some resources for finding the values of various older computers, CPUs and computer chips. Some are very valuable to collectors. Buyers of e-scrap that advertise their prices online. With the high value of gold right now there are a lot of shady characters try to get your e-scrap for pennies on the dollar. So far I have only found two that actually publish what they will pay you. Mind you, these guys are middlemen. If you have larger quantities it may pay you to find a refiner. I'm doing research on this and will let you know more when I learn more. BTW, if a buyer gets defensive when you ask them what percentage of the gold value found are they paying back to you then walk away fast. If they can't be trusted to answer a simple straightforward question, how can they be trusted with your gold? Here are a couple that do reveal their prices BEFORE you send them your e-scrap. At this time the only e-scrap buyer that I know of that advertises their prices paid AND seems to have good reviews is Board Sort. If you have experience with this buyer or others (good or bad), know of others, please let me know by sending me an email. I want to be sure you avoid scams and get the best deal you can. Very cool article about a guy in the Middle East who has amassed a $500,000 collection of older CPUs. Although because of health, safety and environmental issues, I strongly recommend that you do NOT refine gold yourself, here's, for your information, a relatively easy to understand free guide about refining gold and other precious metals to download: Refining Precious Metals Wastes by CM. Hoke 2.14 MB PDF Format. More general tips and resources can be found on the menu at the top of each page. Popular articles are listed on the left of each page and recent blog posts are listed in the right column of each page. I'd love to hear from you. If you have questions, answers, problems, solutions or just want to tell me how you're doing please email me.